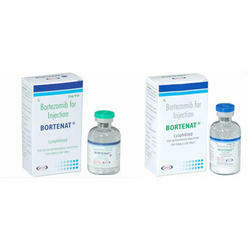 Exporter of a wide range of products which include bortezomib for injection, colistimethate sodium for injection ip, enoxaparina sodica injection, tigecycline for injection, meropenem injection and piperacillin and tazobactam for injection usp. 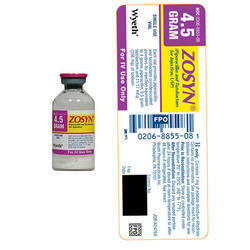 We hold expertise in offering a broad array of Bortezomib For Injection. The offered medicine is processed using quality approved chemical compounds and pioneering machine by qualified team of experts in compliance with set medical standards at vendors’ end. This medicine is basically used in the treatment of cancer. Apart from this, our offered medicine is widely admired among our renowned clients due its attributes given below. 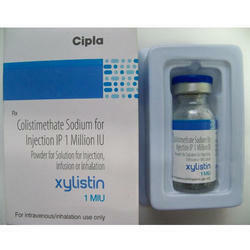 With keen obligation towards excellence, we have been betrothed in offering a broad collection of Colistimethate Sodium for Injection IP. In tune with the evolutions and expansions taking place in the business sector, these obtainable products are precisely prepared and recommended. As well, the complete gamut is reviewed rigorously before getting shipped at the premises of our clients in between the assured frame of time. 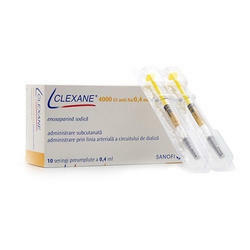 We are a trusted name engaged in offering the best grade Enoxaparina Sodica Injection that is widely used for preventing blood clots in patients who are on bed rest and also used in unstable angina and heart attacks. Our offered medicine is processed by making use of the finest quality chemical compounds and innovative machines under the meticulous surveillance our vendors’ dexterous team of professionals. We also assure our honorable customers that the offered medicine is meticulously verified against enormous quality measures. 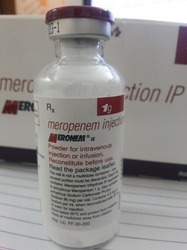 Owing of our extremely talented team of professionals, we are engaged in offering a wide range of Meropenem Injection. The medicine offered by us is processed with the usage of factory tested chemical compounds and ultra-modern machines in tandem with set medical policies. Our offered medicine is prescribed for bacterial infections such as skin and skin structure infections, bacterial meningitis, etc. 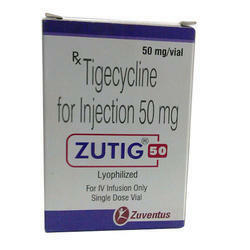 Additionally, our offered medicine is available with us in enormous packaging options at affordable prices. 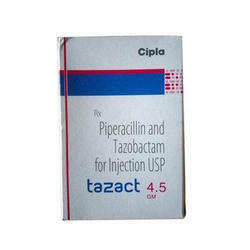 We are able to bring forth an astonishing gamut of Piperacillin and Tazobactam for Injection USP. It is processed in strict adherence to set medical standards and can be easily purchased from us in a variety of packaging options at highly competitive within the promised time span. The medicine provided by us blocks the bacteria's cell wall growth as well as kills the bacteria. This medicine is processed under the stern surveillance our vendors’ innovative team of professionals by making use of pristine quality chemical compounds and innovative machines in complete compliance with industry quality standards. 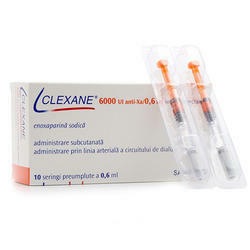 We are a noteworthy organization in the domain, engaged in offering the high-quality range of Enoxaparina Sodica Injection. The medicine offered by us is processed under the meticulous guidance of our vendors’ dedicated team of professionals using excellent quality chemical compounds and innovative machines in tune with set medical norms. It is widely used in the treatment of certain types of heart disease such as angina and heart attacks as well as for preventing blood clots forming after an operation. We provide this operation in different packaging options as per the requirements of our honorable clients.